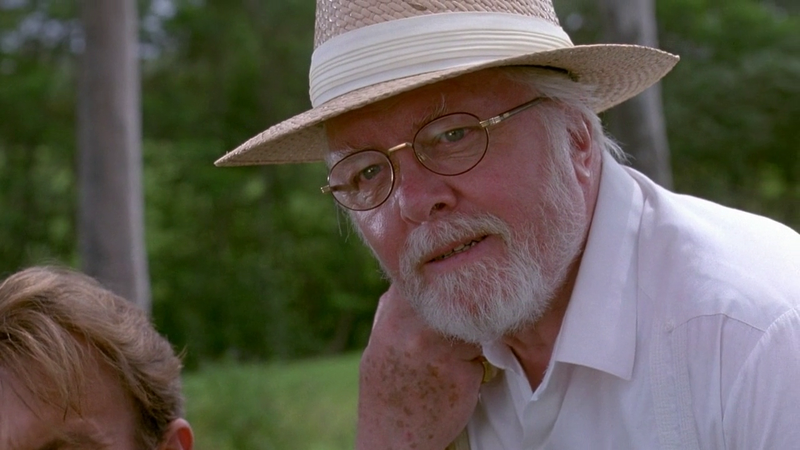 Richard Attenborough Dies at 90. Let's All Watch Jurassic Park. Richard Attenborough was a man of many talents. I knew him best as the well-intentioned but somewhat deranged scientist from Jurassic Park, but I knew him well in other roles. One of his most famous characters was Pinkie Brown in the 1947 noir classic, Brighton Rock. Later he took the part of best director for his visionary biopic Gandhi, also stealing best picture in 1982 as well. And after failing at the dino park game in 1993, he took up the mantle of Santa Claus in the 1994 remake of Miracle on 34th Street. Attenborough's dedication to cinema, both on and off screen, spanned 60 years and his talents and cinematic contributions far exceed that of Dr. John Hammond. But even as a kid, I appreciated how difficult that role had to be. Essentially, Attenborough begins as a revered scientist, shows his lovable grandfather side, then declines into a defeated man.